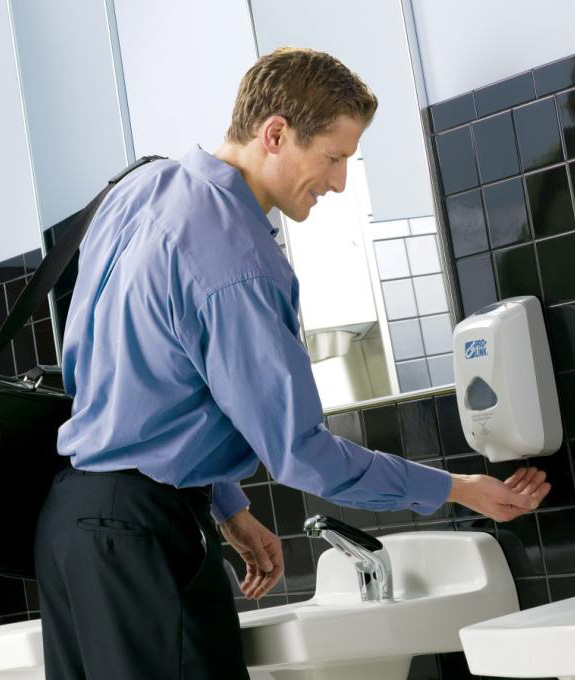 Prevent the spread of germs inside your facility and promote a clean and healthy environment with Iron City Hand Soap & Hand Sanitizer Dispensers. Our options include Antibacterial Hand Soaps and Purell Hand Sanitizer for any setting, as well as Industrial Hand Soap for the grittiest dirt and grime. One of the most common customer (and employee) complaints is an unclean facility/restroom with lack of essential supplies, such as hand soap and hand sanitizer. Our convenient service will ensure that your facility is appropriately stocked at all times – while saving you time and significantly reducing your maintenance costs in the process. Our experienced service reps regularly examine your dispensers, change batteries as needed, manage your inventory, and ensure quality hand soap & hand sanitizer are available for your customers and employees at all times.